Special interest environmental groups got stung recently by an 8-0 U.S.Supreme Court opinion that held private landowners cannot be compelled to forego future economic uses of their property and at their own expense convert their land into suitable habitat for an endangered frog. Now radical greens are eyeing even bigger land grabs. The Natural Resources Defense Council has sued the Department of the Interior for failing to designate “critical habitat” for the “endangered” rusty patched bumblebee. It’s the latest of many Endangered Species Act (ESA) lawsuits, abusive sue-and-settle litigation, and other actions involving insects, and it led to an eleventh-hour Obama Administration endangered designation for the rusty patched bee. Interior points out that extremely limited knowledge about RPBs makes critical habitat determinations impossible. The NRDC counters that Interior must designate habitats based on “best available evidence.” The problem is, available information is so inadequate, conjectural, false or falsified that it must absolutely not be used to justify the astounding potential impacts of RPB habitat designations. Groups that have bee-friended them claim RPBs were “once common” in many Northeastern and Midwestern states. However, back then bees and other insects were studied for taxonomic purposes – not to assess species’ diversity and populations. So no one knows how many there used to be, or where. The activists also claim RPB populations declined rapidly beginning in the mid-1990s, because of habitat loss, disease, climate change and especially the use of crop-protection pesticides. That’s not what they were saying a few years ago, before wild bees replaced honey bees in anti-pesticide campaigns. Back in 2013, when it petitioned the FWS for RPB endangered status, even the Xerces Society for Invertebrate Conservation said the bee’s apparent decline was due to habitat loss and multiple diseases that spread from domesticated honeybees to wild bees. The Obama FWS ignored these facts, arbitrarily downplayed its earlier disease and habitat loss explanations, and began blaming pesticides, especially advanced-technology neonicotinoid pesticides, which became a scapegoat for wild bee health problems after it became obvious to everyone that fears of a honeybee apocalypse were unfounded. A busy, understaffed Department of the Interior let the last-minute Obama era RPB endangered species designation take effect in early 2017. For example, a wide-ranging international study of wild bees, published inNature Communications, found that only 2% of wild bee species are responsible for 80% of all crop visits. Most wild bees never even come into contact with crops or the pesticides that supposedly harm them. Even more compelling, the Nature study determined that the 2% of wild bees that do visit crops – and so would be most exposed to pesticides – are among the healthiest bee species on Earth. Other studies found that neonic residues are well below levels that can adversely affect bee development or reproduction. That’s because coating seeds ensures that neonic pesticides are absorbed into plant tissues – and thus target only pests that actually feed on the crops. They’re barely detectable in pollen. None of these facts will matter, however, once the FWS starts designating RPB critical habitats. 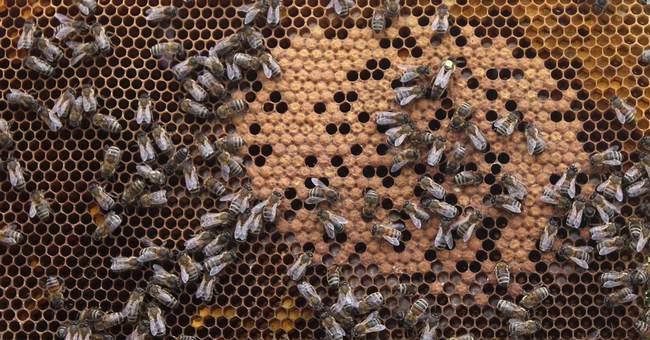 The agency and environmentalists will be able to delay, block or bankrupt any proposed or ongoing project or activity within a habitat if they can make any plausible claim that it might potentially harm the bee. Building new homes or hospitals, laying new pipelines, improving roads and bridges – a farmer’s decisions about plowing fields, planting crops or using pesticides – could all be subjected to litigation. The potential geographic reach of these critical habitat designations is enormous. RPBs are likely to be found “in scattered locations that cover only 0.1% of the species’ historical range,” the FWS has said. That doesn’t sound like much. However, 0.1% of the bee’s presumed or asserted historical range is nearly four million acres – equivalent to Connecticut plus Rhode Island. Even worse, that acreage is widely dispersed in itty-bitty parcels across 13 states where amateur entomologists have supposedly spotted rusty patched bumblebees since 2000. That’s some 380 million acres: 15 times the size of Virginia! No one knows just where those parcels might be. So environmental groups could pressure and sue government agencies to halt projects – or agencies could do it at their own volition, to delay or block gas pipelines, for example – while large areas are carefully examined for signs of rusty patched bumblebees. New York regulators might be especially prone to doing that, considering the governor and legislature’s unbending opposition to “climate destabilizing” natural gas, even as gas and electricity prices climb ever higher in the Empire State. More ominously, anti-pesticide and other environmental groups want yellow-banded, western and Franklin’s bumblebees designated as endangered. These species were supposedly once found in tiny areas scattered over a billion acres in 40 US states! Other anti-pesticide, anti-fossil fuel, pro-Green New Deal activists also want beetles and other bugs designated as endangered. The ultimate effect – if not their intent – would be to let radical groups use “threatened or endangered” insects to delay or veto countless projects and activities across nearly the entire United States. Probably most Americans would say delaying or even scuttling certain projects and activities might be warranted when the threatened or endangered species holds a position of significance in the animal kingdom, and really is down to the last of its kind. But bees, beetles and other bugs? Especially when we don’t know how many there ever were, or where? Or what might actually be threatening their continued existence, if it really is threatened? Highly unlikely. Just as relevant, why aren’t the same eco-activist groups expressing the same concern – or any concern, really – about bald and golden eagles, other raptor and bird species, or multiple rare bat species that are being decimated by wind turbines? Whooping cranes are teetering on the brink of extinction, and yet their Canada to Texas flyway is now home to hundreds of bird-butchering turbine rotors. The resulting carnage is ignored by greens and regulators alike, and Big Wind operators prohibit independent biologists from entering the killing grounds to get accurate counts of bird and bat carcasses. Many of those wondrous and vitally important species would likely be wiped out entirely if anything like the Green New Deals prouts hundreds of thousands of 400-foot-tall onshore turbines across the USA. The Interior Department’s Fish & Wildlife Service needs to bring further balance and sanity to the ESA, to ensure that conflicting and competing needs are examined and balanced – fully, carefully and honestly. All this underscores why the Endangered Species Act must be revised. It also explains why radical environmentalists and their allies will fight any changes tooth and nail, along with any nominee who might try to make any changes in any Trump land use, environmental or agricultural agency or policy. These are complex but vital policy issues, requiring rational, responsible discussions and decisions. Paul Driessen is senior policy advisor for the Committee For A Constructive Tomorrow (CFACT) and author of books and articles on energy, climate, environmental and human rights issues.